Ray Tomlinson is credited with receiving the first email that was ever sent, in 1971. I’m choking in the irony. While email is still a valuable tool, its abuse by me-too marketers has poisoned the pool for the rest of us. There was a time when a blast email worked relatively well. If you earned a 25 percent open rate, you could have taken rest of the day off. This marketing stuff was easy. Fast forward to today. This “spray and pray” method of marketing—that is, blasting an electronic newsletter out to your entire audience of peers, referral partners, customers, prospects and suspects—just doesn’t work as well as it used to. It’s not hard to understand why. Each of our contacts has different motivations, problems and challenges. Yet we pile them all together, send them one message and pray that we said something magical that causes them to reply. This is not exactly science, and your contacts have become smarter than to fall for such amateur moves. That 25 percent open rate has eroded over the years and we now see rates as low as 5 percent. Even worse, you could be labeled a spammer. All of this is hardly worth your effort. So are e-newsletters dead? Not at all. They can still be effective, but you must change how you release information. There is significant blue sky ahead for adopters who recognize the next evolution in business communication: “marketing automation.” Instead of blasting out the same information to your entire database, give readers the opportunity to tell you which information they want to learn. The more relevant information you can put in front of your digital reader, the more likely you are able to develop a meaningful online relationship. In short, relevancy matters. Even in 2008, when email newsletters were at their peak, it was the advice from savvy marketers to make your message relevant and add value to the reader; not sell. But it goes much deeper today. Determine the “categories” you want to create, and ensure that each of your contacts can fit into a defined category. Then develop a message specifically for them, and create an electronic path they can follow so that you can move them closer to the desired action. Here is an exercise to help you visualize putting this together. On a large dry erase board, map out your customer lifecycle as it stands. That is, draw your current process for attracting and retaining customers. You will undoubtedly notice inefficiencies. Next erase the board and start over. In a perfect world, how should that same customer lifecycle work if email technology is applied? At what precise times should a potential or existing customer get an instructional video, survey form or reward for desired behavior? Large organizations like Ebay and Amazon have used these strategies for years. If you have ever visited their websites or bought from these companies, you understand how automated and streamlined the communication has become. Coupons, shipping information, customer feedback, suggestions on other purchases, it’s all on autopilot and automated. Now this technology is affordable for smaller businesses as well. This is the next evolution of your antiquated e-newsletter. A self-made entrepreneur with more than 15 years of business CEO experience, Brian is excited to be sharing his passion for business building with others. 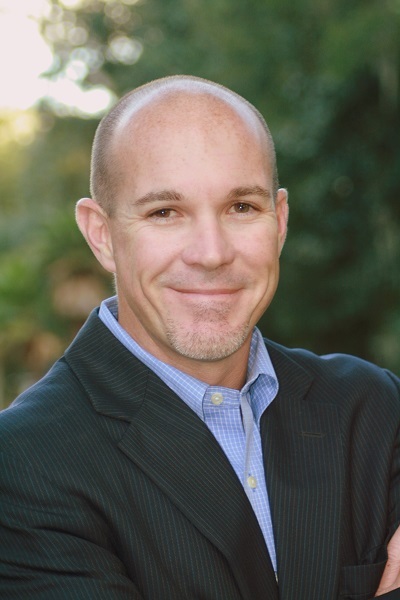 He holds degrees in marketing and management from Jacksonville University. He lives in North Florida with his wife Robin and their two children. In his leisure time, he enjoys boating, fishing, personal fitness and coaching U6 kid’s soccer.